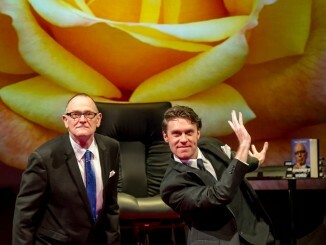 The theatre year has begun, and not a moment too soon! For those who like to plan, each week Theatre Scenes will present our top picks for what to see in the Auckland theatre scene. Who wrote it? Dave Armstrong, a prolific playwright and satirist who also wrote Seven Periods of Mr Gormsby on the TV. Who’s putting it on? 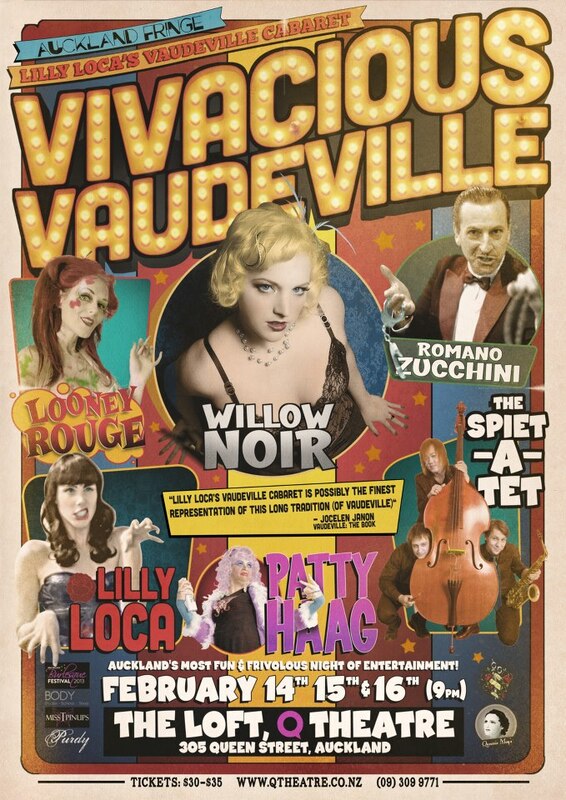 Auckland Theatre Company, who’ve made something of a tradition of starting their first show of the year with a Dave Armstrong comedy (think The Motor Camp and Le Sud). Peter Elliott directs. Who’s in it? John Leigh (who’s possibly been in every television series ever made in New Zealand, and last seen onstage here in Horseplay), Brett O’Gorman (the less famous but just as talented O’Gorman brother), Cian Elyse White (Awatea) and Bronwyn Bradley (Top Girls). Fun Fact? Dave Armstrong actually liked P.E as a student! Where? The Maidment Theatre. On every day this week, and plays until 2 March. Tickets: Between $28-$62 depending on who you are and where you sit. Maidment Theatre. A Water Ballet? Yes, a water ballet. Who’s in it? Lots of women, and a few men. In their swim suits. 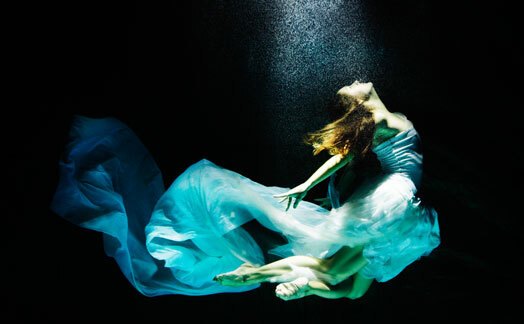 Pithy Theatre Scenes Review Quote: (on last Fringe’s Sirens) “I definitely think as an art form this modern water ballet has legs, or rather, flippers, and I anxiously await the opportunity to dive into their next work”. I hope you’ve got your ticket because: The show is sold out! Who’s in it? 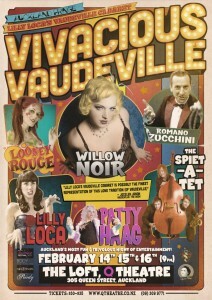 Acts with names such as Wllow Noir, Looney Rouge, Ken Samson, Lily Loca, Patty Haag, and The Spietatet. Where? Q Loft. 14-16th Feb. Hey look, they open on Valentines Night! Not sure want you want to see during Fringe? Head over to Myers Park on Saturday 16 between 12-4pm for “activities for the kids, refreshments, coffee, lost islands and scores of Fringe acts sharing their spoils in showcases and live installations.” More at Auckland Fringe.